The Penwith Peninsula covers the south-west corner of Cornwall and thus the British mainland. You can stay anywhere within the peninsula and have access to this beautiful coastline. As a result, easily making this a great spot for a UK based staycation. 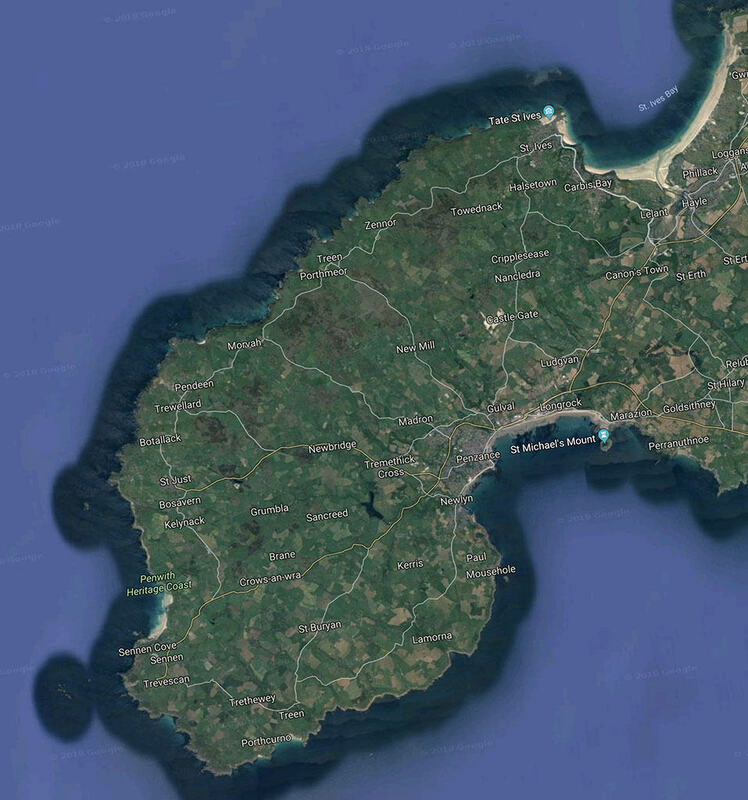 So where is the Penwith Peninsula? If you roughly draw a line from the east side of St Ives Bay at Godrevy Point in the north to the east side of Mount’s Bay at Cudden Point/Prussia Cove in the south then everything to the west is Penwith Peninsula as depicted on the map below. A large part of the Penwith Peninsula is designated the Penwith Heritage Coast. 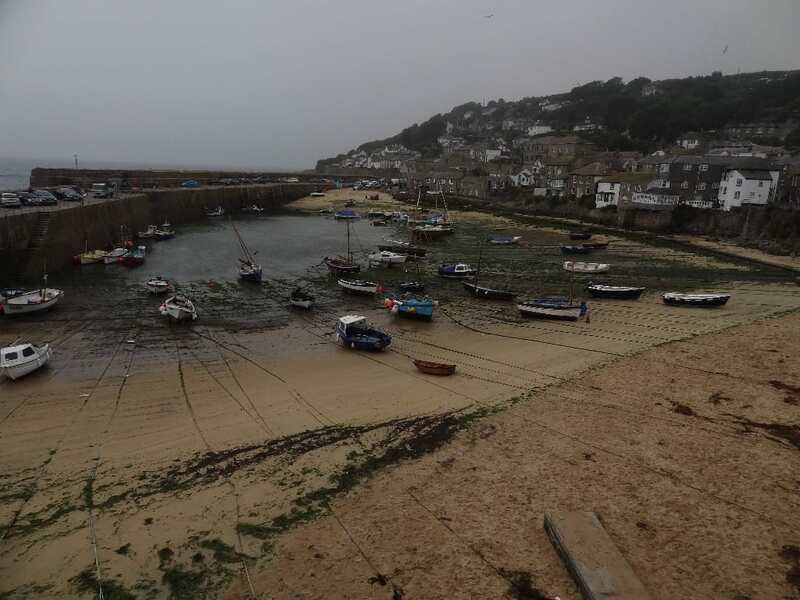 This stretches from St Ives in the north around to just before Mousehole in the south. 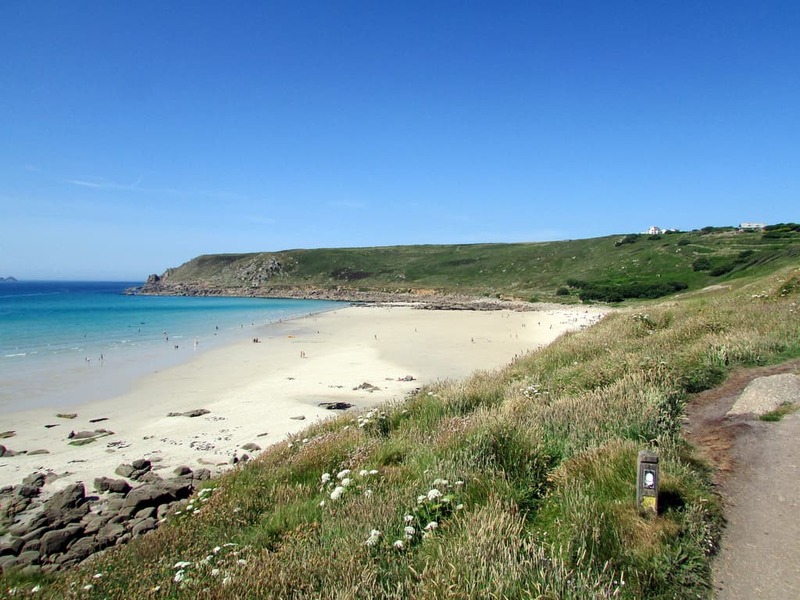 This whole stretch is famous for a natural but rugged coastline interspersed with coves, sandy beaches and the remains of Cornwall’s tin and copper mining history. We will take a look at our favourite spots around the coast. Starting at Godrevy Point and then heading anti-clockwise to Prussia Cove which if you were to walk, would be roughly 95km (60 miles). Godrevy Point stands at the eastern end of St Ives Bay and is marked by its lighthouse on an island just off the National Trust managed coast. 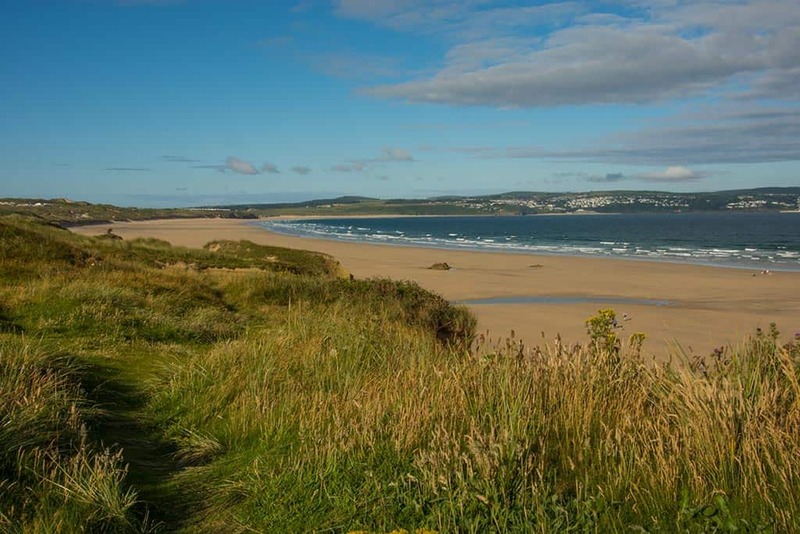 From Godrevy Point you have nearly 3.5 km (2 miles) of sandy beach backed by a large sand dune system that ends at the estuary. Although, this is a single stretch of beach at Halye it is divided into separate beaches based on the various access points. 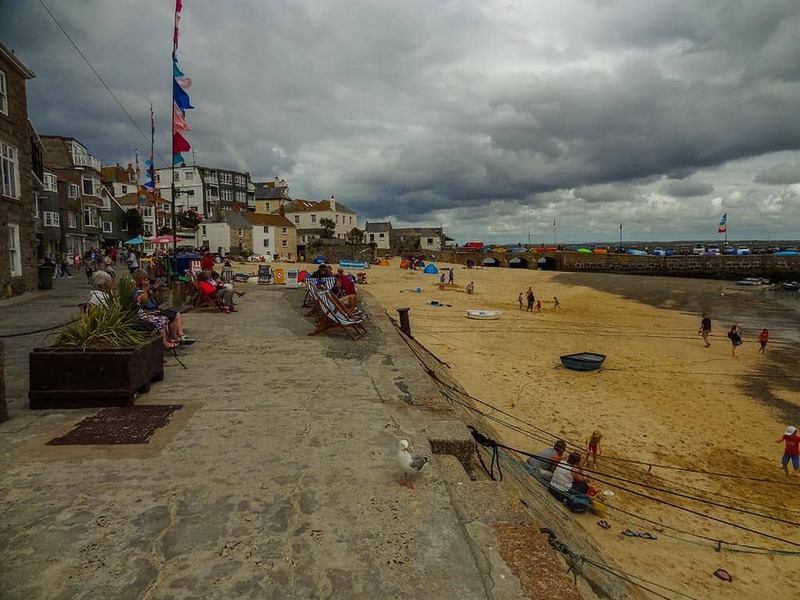 Opposite Hayle, you have the historic harbour town of St. Ives with a selection of beaches, the Tate St Ives gallery and small lanes of independent shops and great selection of places to eat. 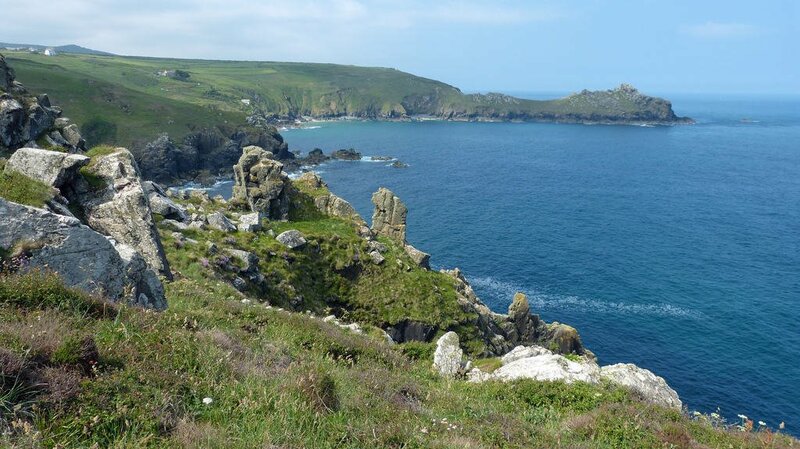 10 km (6 miles) along the coast from St Ives is Zennor Head, a promontory of high granite cliffs. The headland is flanked by two coves, Pendour and Porthzennor. Just a further 1.6 km (1 mile) to the west you have Gurnard’s Head, with two small coves to the east; Treen Cove and Rose-an-Hale Cove. This stretch of coastline has various remains of tin and copper mines. 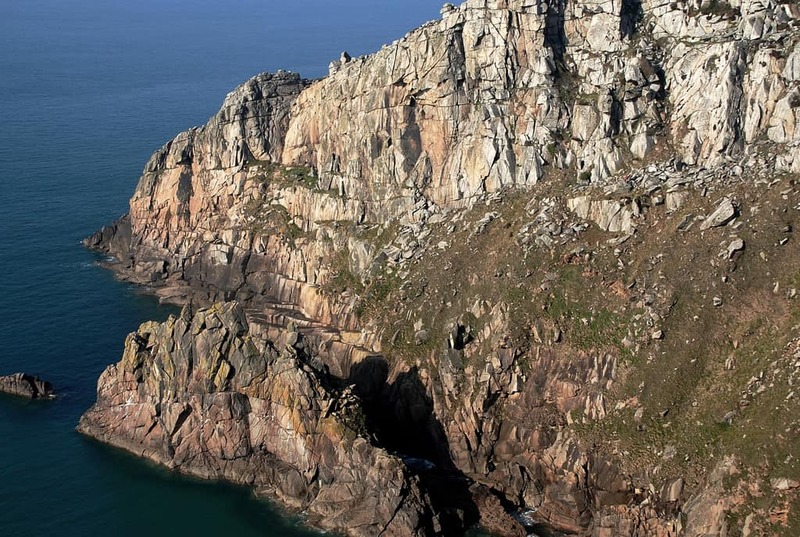 Heading along the coast for 1.6 km (1 mile) we reach Bosigran Cliff with its steep granite cliffs and Iron Age castle. Bosigran Cliffs are very popular with climbers and with a range of climbs suiting all abilities. 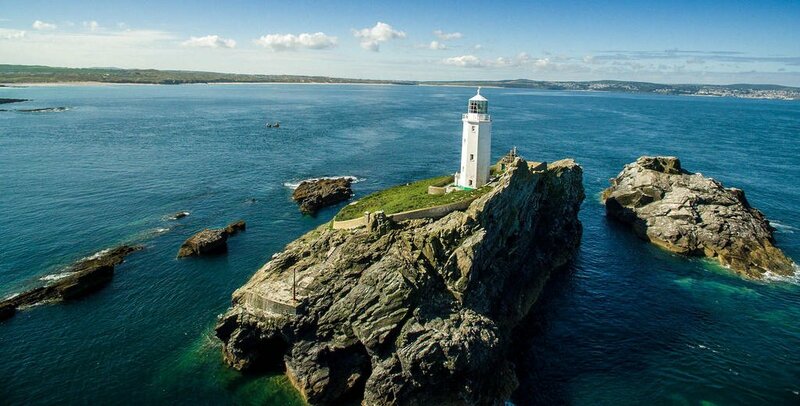 Now a further 6.5 km (4 miles) is Pendeen Lighthouse, also known as Pendeen Watch. 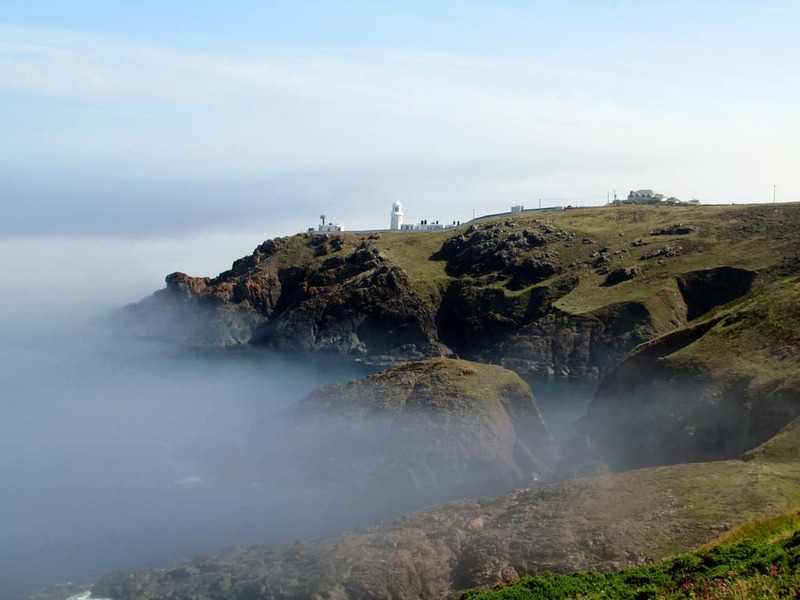 The light sits on a headland and is a critical light protecting this stretch of coast before Land’s End. The next 5 km (3 miles) has dramatic cliffs and takes you to Cape Cornwall which is England’s only cape. This was thought to be the most westerly point in England but Land’s End was proven to take that crown. We strongly recommend a visit as it is less commercial than its more westerly neighbour. Cot Valley is a beautiful tree-lined valley where the small stream enters the Atlantic at Porth Nanven Cove. 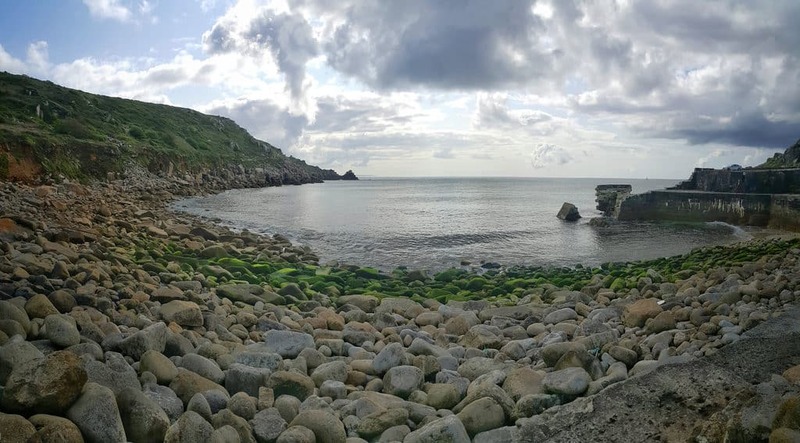 Sennen Cove is a former fishing village on the south of Whitesand Bay, home to one of the largest north coast beaches on the peninsula. 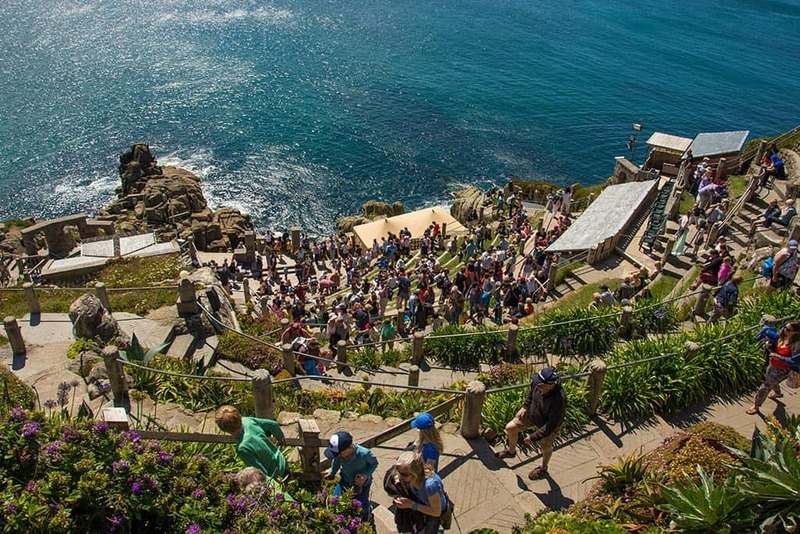 Just 2 km (1.2 miles) along from Sennen Cove is Land’s End which is Britain’s most south-westerly mainland point. 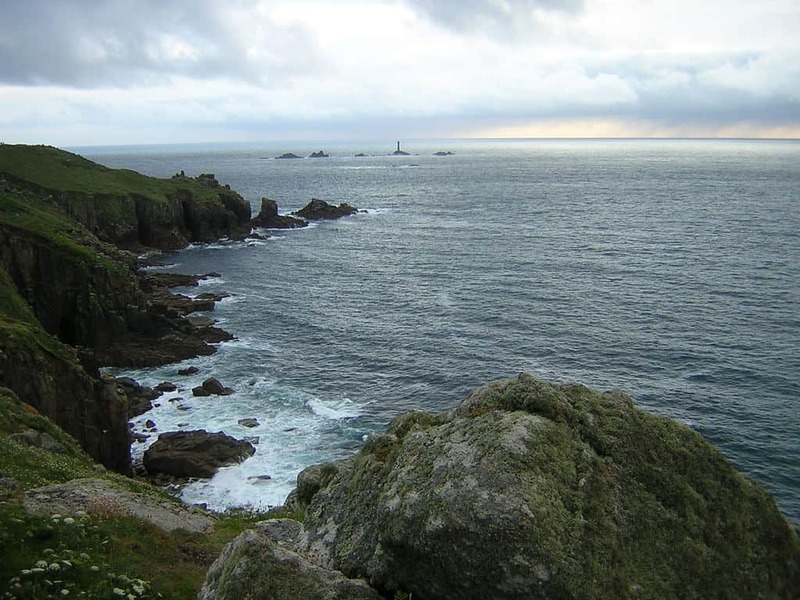 The views include the Longships Lighthouse and on a clear day the Isles of Scilly. Unlike a lot of the other points on our peninsula coast trip, Land’s End is very commercialised with various attractions. 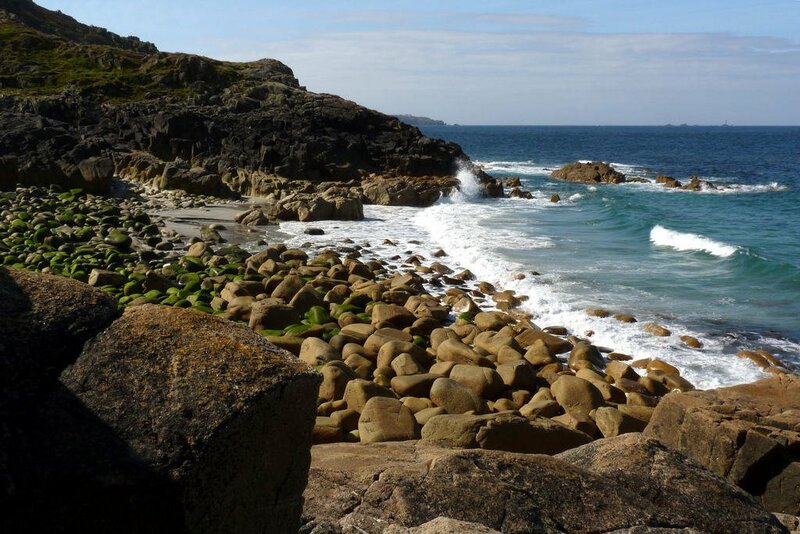 It is time to swing around to the east and head 5.6 km (3.5 miles) to Porthgwarra a small fishing cove. The cove has a couple of interesting manmade tunnels. The first was for horse and cart access to the beach whilst the second was for fishermen to access tidal storage areas for shellfish prior to taking them to the market. 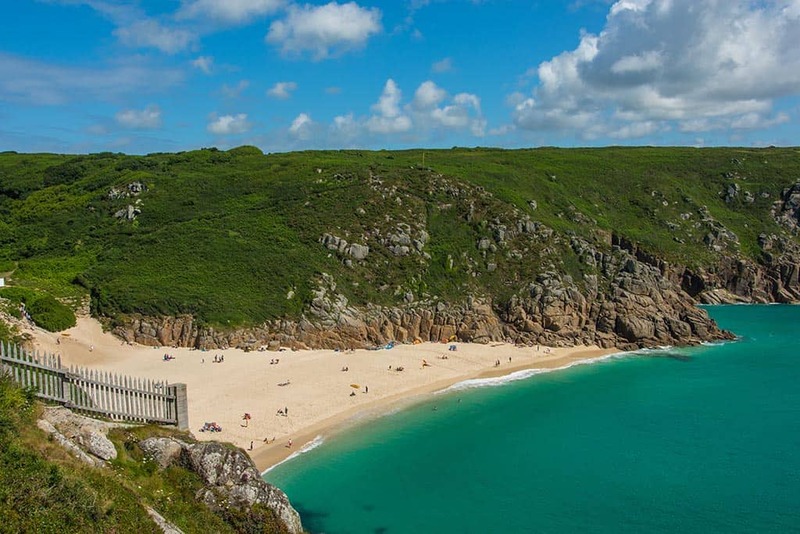 A further 9 km (5.6 miles) along the coast you have Porthcurno, one of the best sandy beaches in Cornwall. Porthcurno beach is overlooked by the Minack Theatre that sits carved out of the cliff side overlooking the beach. If you get the weather right, this has to be the best place to watch a show in the UK! Taking the coast path for 2.4 km (1.5 miles) you will pass by the famous Logan’s Rock, an 80-ton granite rocking stone, before arriving at Penberth. 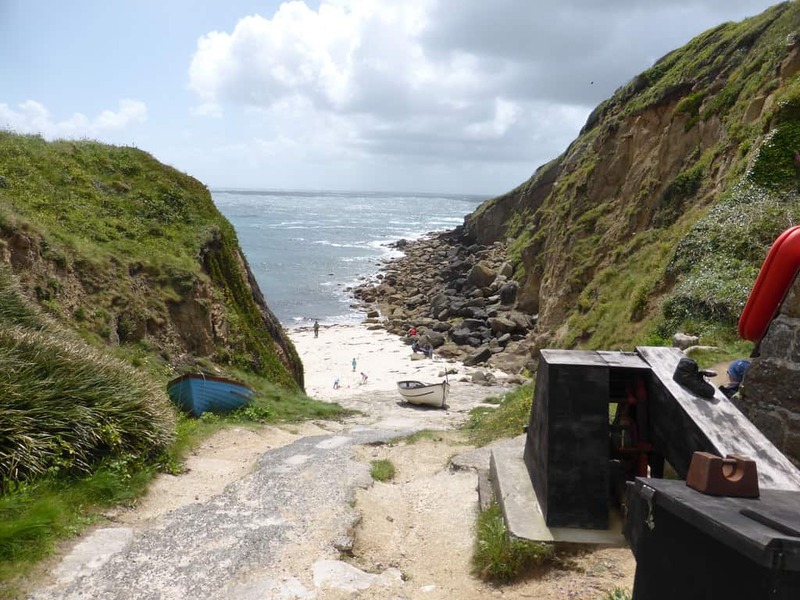 Penberth is one of the last traditional Cornish fishing coves still in use. The cove sits at the end of a wooded valley with a stream flowing into the sea. Our next stop is Lamorna a further 6.5 km (4 miles) to the east. 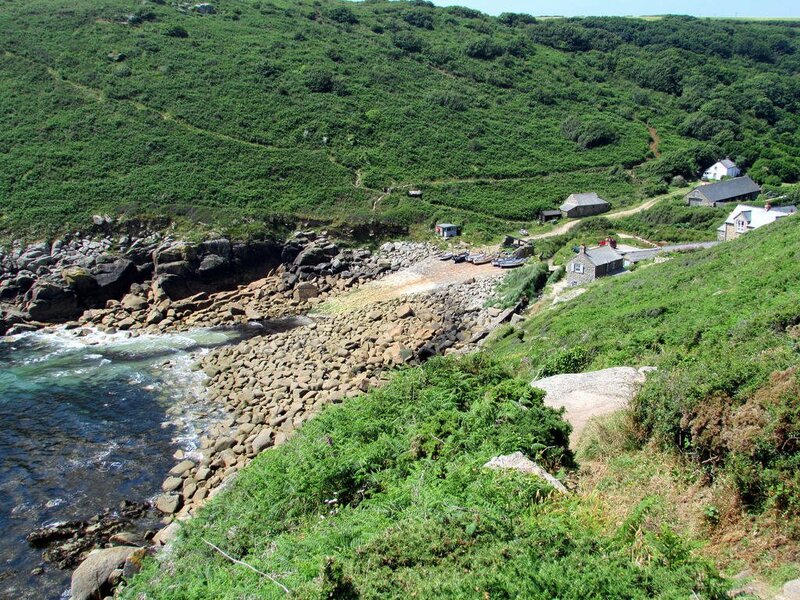 Lamorna is similar to Penberth in that you have a small village at the end of a wooded valley. Rather than fishing the harbour was used to ship granite from the nearby quarries and this can be seen by the stone harbour pier that still exists today. The quarries are now disused but the coast path around this area has plenty of remnants of the past. In just under 4 km (2.3 miles) you will head out of the designated Penwith Heritage Coast and arrive at Mousehole. A very pretty harbour town with narrow roads and a selection of small shops. We will bypass Newlyn and Penzance as these are large harbour towns and instead now stop off at Marazion and St Michael’s Mount. 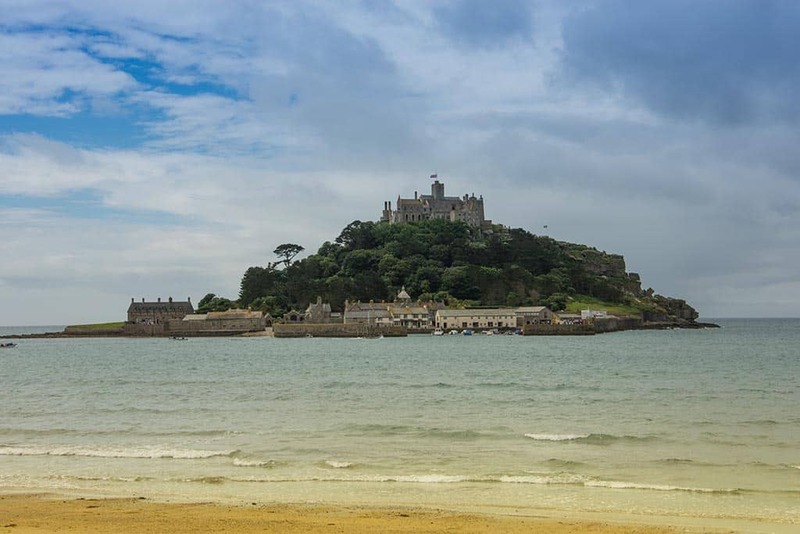 This is one of Cornwall’s iconic sights managed by the National Trust. Depending on the tides access is via. a small boat trip or causeway walk. We will now end our Penwith Peninsula trip by travelling the last 7 km (4.3 miles) to Cudden Point/Prussia Cove. Cudden Point is a National Trust managed headland that marks the easterly end of Mount’s Bay. 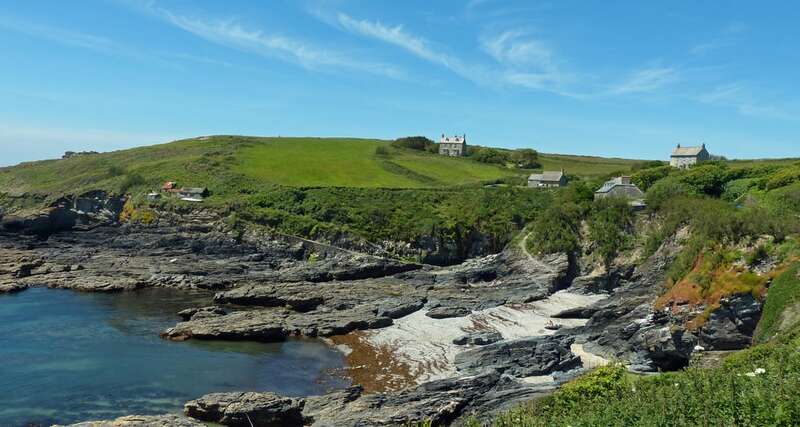 We have said Prussia Cove but you actually have a number of small coves around the headland although Prussia is the largest and used to be home of a small fishing fleet. 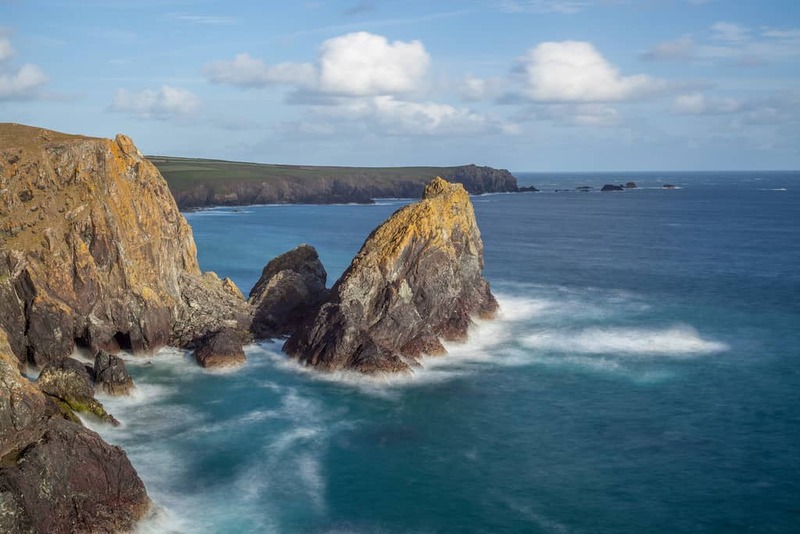 We hope you have enjoyed our quick trip around Cornwall’s Penwith Peninsula and although we have listed our favourite spots you can check out our Penwith Peninsula page for interactive tools to explore in more detail. If you have any comments or your own stories then please leave us a comment or drop is some details on our Coast Radar facebook page.